As most of you know I’ve been running www.myrareguitars.com since about 1997. Before that I was doing it with pen and paper. Recently I discovered a file folder on my backup drive with TONS of photos containing just about every guitar I’d ever bought and sold over the years. Looking at these photos have stirred up some memories. So, here are some stories and photos (to the best of my deteriorating memory) from the Back Catalog of myRareGuitars. Musicvox guitars are pretty wierd. But, you never know what will come of a sketch on a napkin and an enthusiastic owner – Matthew Eichen – who was responsible for Musicvox guitars. These were part of a small Korean production run in the mid/late 1990’s. You’ve probably never seen one in your local shop, as the distribution of the brand did not gain any traction, but you may have seen one when New Line Cinema put the guitars in the hands of musicians playing parts in the Mike Meyers/Austin Powers film Goldmember in 2002. They are best known for their song “BBC”, which appeared after the ending credits of the movie Austin Powers: International Man of Mystery, as well as the song “Daddy Wasn’t There”, which Myers’ character Austin Powers sings in Austin Powers in Goldmember. Both songs appear in their respective movie soundtracks. My son Troy and I are big fans of the Austin Powers movies, and also big fans of Matthew Sweet. 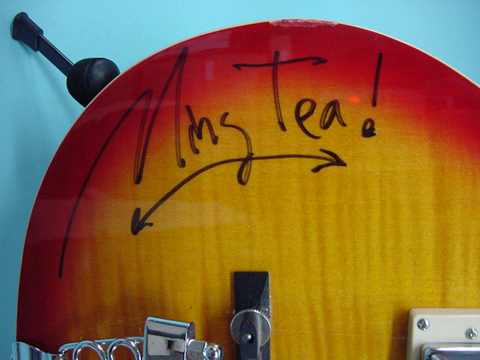 Matthew has been a customer of My Rare Guitars for many years. 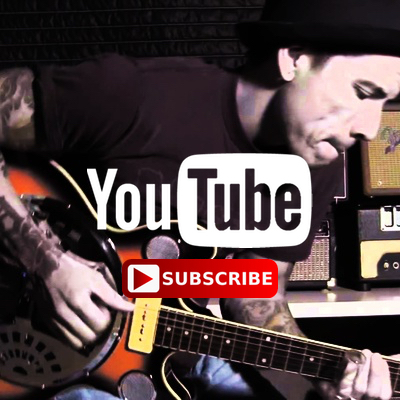 He is not only a great singer / songwriter / guitar player, he is also a collector of the very weird and oddball guitars that our website is known for. 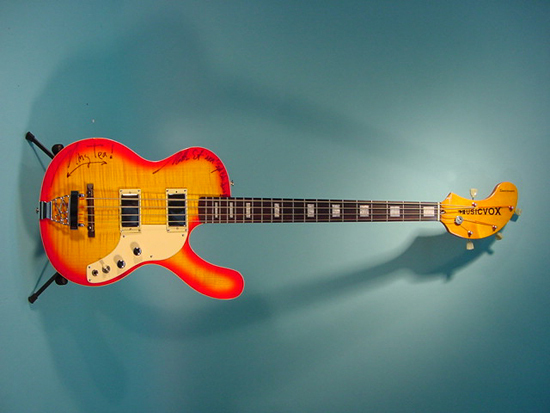 So, a couple of years after the films release, I traded some cool stuff for a couple of Spacerangers from the movie GOLDMEMBER – a sunburst bass and a 6 string. 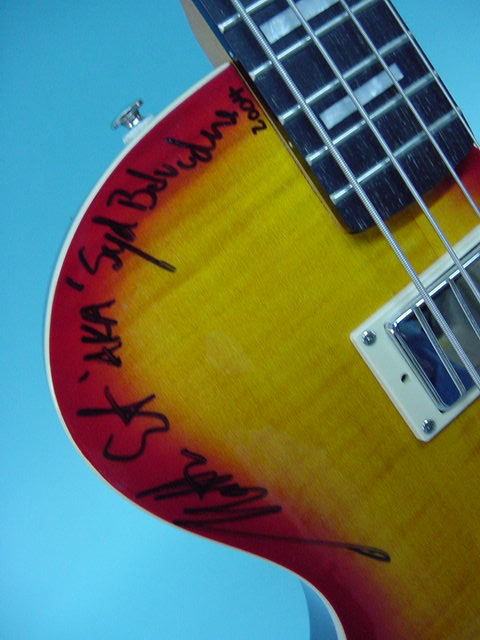 He was kind enough to have them signed, the bass by himself as “Syd Belvedere” and the 6 string by Susanna Hoffs. 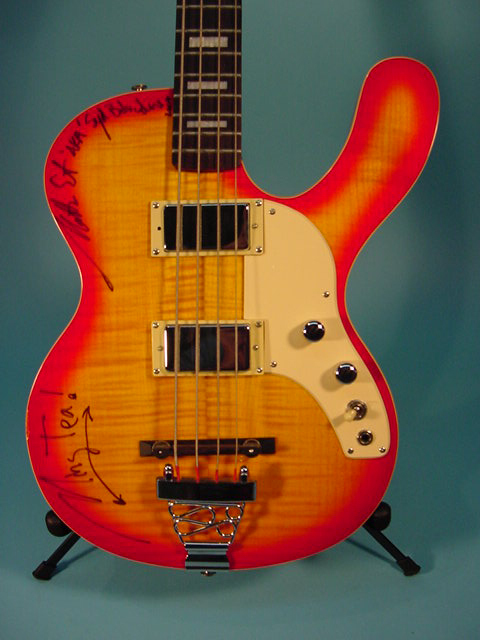 We donated the 6-string to a Toronto Charity auction that year, but I kept the bass because it is just so wierd, and it’s a peice of Austin Powers history that I can pass on to Troy. Hey Mike, would you have any interest in purchasing one of these? I have one sitting around that I havent used much since I switched over to bass duty. nope, one is enough for me! 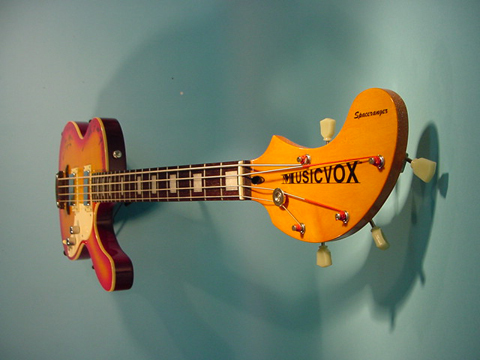 I remember being real interested in Musicvox guitars shortly after they began, and so I placed a call. I got the machine, and so I left a # for a return call, but Matt Eichen never phoned. Soon thereafter, I placed a call to a different new maker I’d been scoping out for their creative designs and had a nice chat with a very accomodating Joe Naylor. You snooze, you lose … needless to say, I’ve been a happy Reverend owner since. The Belgian comical band CPex has been using a goldtop guitar and bass like yours since the 90s. I remember around the same time there was a guy making cool guitars under the Lindert, brand. I was torn between Lindert and the Spaceranger, and ended up paying a fifth of the money on a Danelectro reissue. Hey Mike, do you have any Lindert’s in your collection? I saw your cool post months ago and wanted to say hello and thanks. We spoke years ago when you started manufacturing over seas. Your products look great and I am happy to see the wide array of fabulous designs that I have loved back in production and well made. We’re back in production since 2011 and glad to be back following a health related family setback. 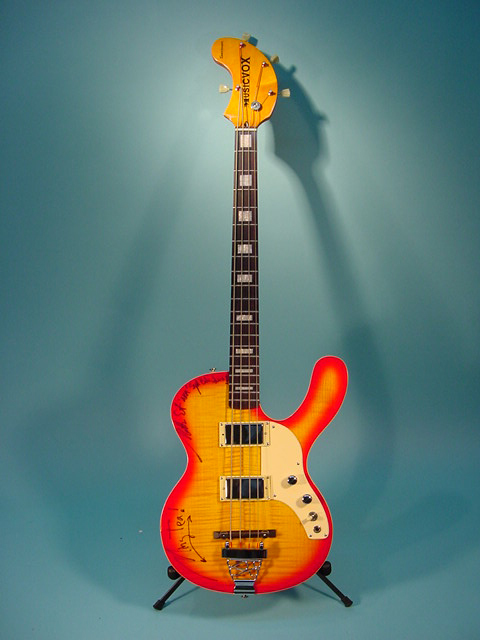 Don’t let that bass go…it’s a piece of pop culture history and very valuable. 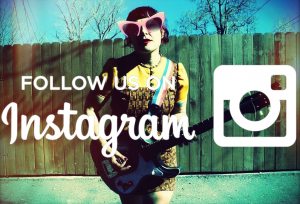 Hope to see you at namm! I hate to say it but if a guitar could mutate like human DNA, then this guitar could have been a victim of the Chernobyl disaster because of its exaggerated shape. No wonder it didn’t sell like hotcakes…. Thanks for sharing. I bought a Spaceranger 13 years ago from a gentleman in Los Angeles who owned a shipping business, and for whatever reason he was clearing out Spacerangers from an L.A. studio that were used for an Austin Powers promo video. I was interested in the guitar and didn’t even think of looking for the promo video until tonight (13 years later!!!). He gave me the impression that they made a video where a bunch of women danced in the background with these guitars. However, I seem to only be able to find the video of the “band”. Hmmm. My Spaceranger plays great, and is indeed built well, with a very nice piece of mahogany for the body, resulting in terrific resonance. Thumbs up for this guitar.